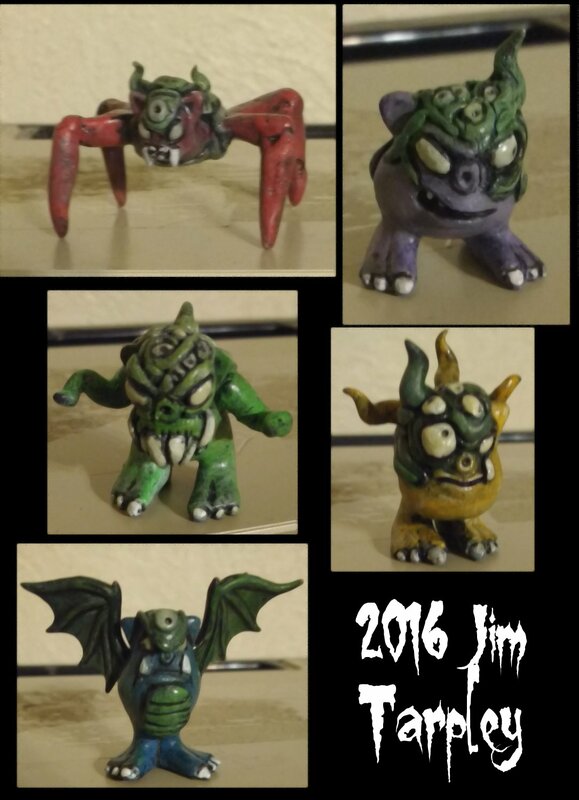 These inch-high abominations are customized Toyfinity Mordles with extreme hand-sculpted details using epoxy putty. The eyes... all the eyes... glow in the dark. They are also hand painted and clear coated.